Eintracht Frankfurt’s resilient defence is in for a stern test when it takes on Europe’s leading goal scorer in the visit of 1. 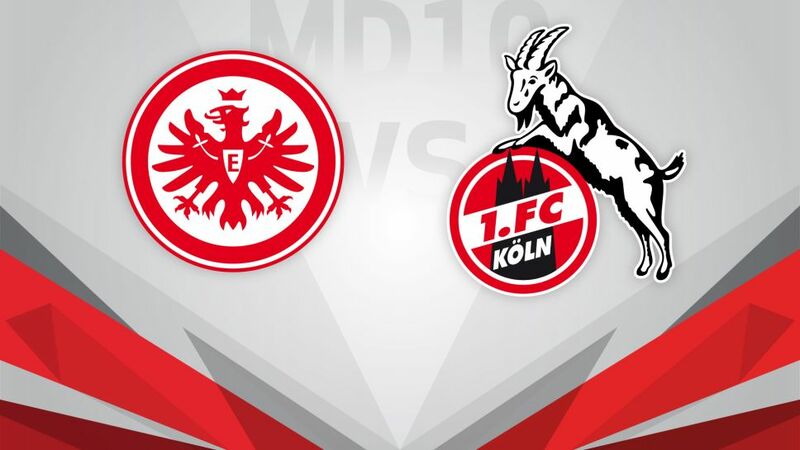 FC Köln on Saturday (kick-off 18:30CEST/17:30GMT). Have you got your Official Fantasy Bundesliga team ready for Matchday 10? If not, click here. Köln striker Anthony Modeste is outscoring Lionel Messi, Luis Suarez and the rest of Europe’s top marksmen as the most prolific goal-getter around, with his hat-trick against Hamburger SV on Matchday 9 taking him to 11 league goals for the season so far. It helped the Frenchman to a nomination for the October Player of the Month award, but he must contend with a solid Frankfurt backline on Saturday evening. Coach Niko Kovac’s charges have kept a clean sheet in their last two outings, and overall his side are unbeaten in three to stay in the hunt for a European place. Frankfurt midfielder Marco Fabian vied with Modeste for the October award after some sublime displays last month, including a vital equaliser against FC Bayern München and two assists in the win over Hamburg. But he will need to be at his scheming best against the Billy Goats, who will be dreaming of a place in the UEFA Champions League for the first time following an excellent start to the season. Peter Stöger’s side have been solid away from home, with just one defeat from four road trips, setting up an intriguing battle at the Commerzbank Arena.